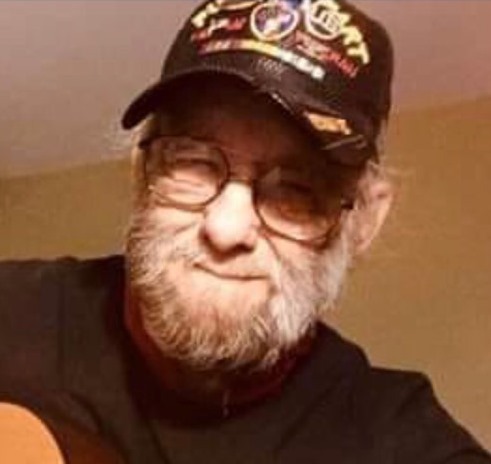 George "Dean" Boone, 69, of Mill Spring, passed away at his home on April 6, 2019. He was the son of the late Edd and Lola Robinson Boone and the husband of the late Linda Lane Boone. He was a member of Pleasant Grove Church in Mill Spring. Dean was also in the US Army during Viet Nam and received two Purple Hearts. He lived a colorful full life, fighting a war and serving his country. From teaching his children to swim by tossing them into the river with a smile and sink or swim, playing music with surviving members of Lynyrd Skynyrd, to recording a record, to shaving his beard for a nervous 5 year old, to telling whoppers, to collecting old cars, to riding Harley's. George was awesome! He is survived by his daughters, Andrea (James), Crystal and Tamarah; sons, Luke (Gail), Daniel (Becca), Harley (Tara) and Aiden; brothers, Jerry, Alan and Michael; sisters, Anita, Donna, Brenda and Rebecca; grandchildren, Autumn, Brittani, Cody, Corey, Dexter, Gavin, Purity and Tristen; a great granddaughter, Melody. Besides his parents and wife, he was predeceased by a grandson, Mason; brothers, Junior and Ronnie. The family will receive friends from 11:00AM - 1:00PM on Thursday, April 11, 2019 at Pleasant Grove Church where the funeral service will follow conducted by Rev. Warren Elliott.